• Future US, Inc./Future UK, Inc.
• Michael I . Kulick, M.D. • Wood Warren & Co.
Conti Print Design provides me with high-quality printing, outstanding customer service, and the reliability I must be able to count on in today’s lightning-fast business environment. Conti Print Design delivers. With a very busy schedule, tight budgets and often tight deadlines as well, it's important that I have sources like Conti Print Design, who can interpret my needs quickly and deliver a wide variety of quality promotional products, on schedule and without fuss. From stock items to custom goods, Conti Print Design always comes through. Conti Print Design is one of our ﬁrm's most valuable vendors, and has been for well over six years. 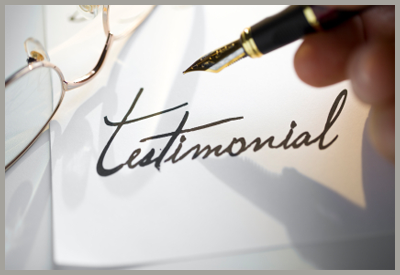 Because of his professionalism and attention to detail, Rich Conti handles all of our printing and direct mail projects. In fact, our ad agency and several other ﬁrms I have introduced to him over the years continue to use the services of Conti Print Design. The added value provided by their design team make Conti Print Design an indispensable part of my marketing group. I highly recommend them for all print, design and mail projects. It’s always a pleasure to work with Conti Print Design. They consistently help me to create excellent and innovative marketing tools that incorporate our vision and stay true to our restaurants' brands. They are prompt, diligent, thorough and quick to respond to any questions/requests that I may have. Thank you Conti Print Design! We rely on Conti Print Design to source, suggest and supply a wide range of hospitality and retail gift items. The Buena Vista Cafe is a long-time San_Francisco landmark and international gathering place, so we count on Conti Print Design to help us promote our restaurant and provide products in keeping with our image. I’m always impressed with the way Conti Print Design so skillfully responds to our various needs, challenging changes and near-impossible turn-around times. It’s a relationship that works wonderfully for the beneﬁt of the hotel and our customers. Always directly involved and enriching projects with their expertise, Conti Print Design is a great ﬁnd, and a company I can depend on to help me get my job done. I have been working with Rich Conti and the Conti Print Design team for several years now. The products they provide have always been top quality, with a turn-around time that meets our needs. I have been consistently impressed by their professionalism and attention to my needs as a customer. I have worked with Conti Print Design for over four years, and have been nothing but satisfied. Rich Conti is responsive, accurate, fair, and cares about my work. He is a pleasure to work with, and I highly recommend him. I'm confident recommending Conti Print Design. I know I can count on their team for fresh, creative ideas and solutions for our printing, marketing and hospitality product needs. We're proud to have been awarded Leadership Level in the California Green Lodging Program, and Conti Print Design helps us meet our commitment to preserving the environment through the innovative use of sustainably sourced and recycled materials. The team understands our brand and are always on target with the right design and appropriate materials to maintain the integrity of our brand.